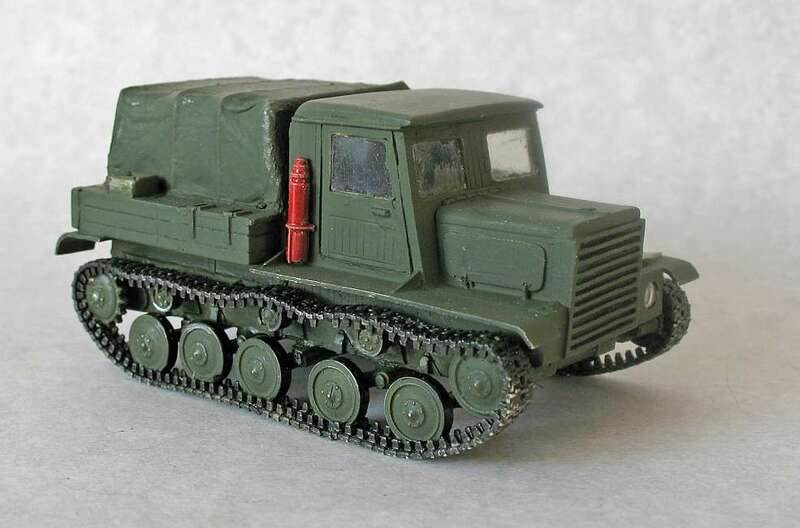 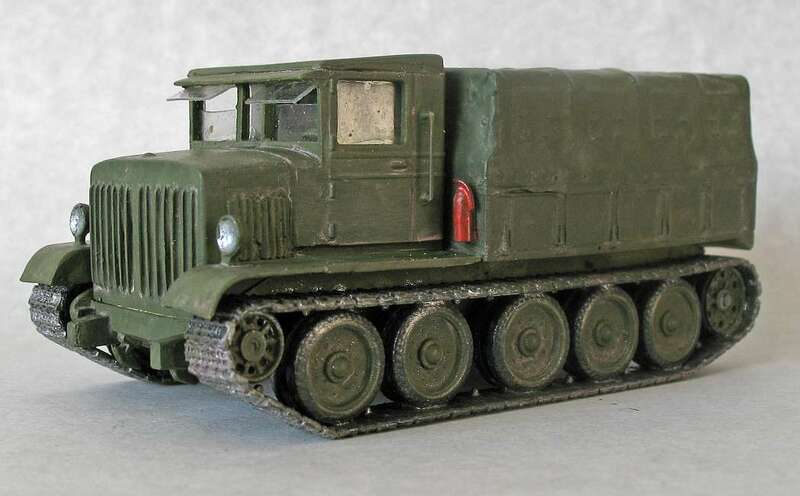 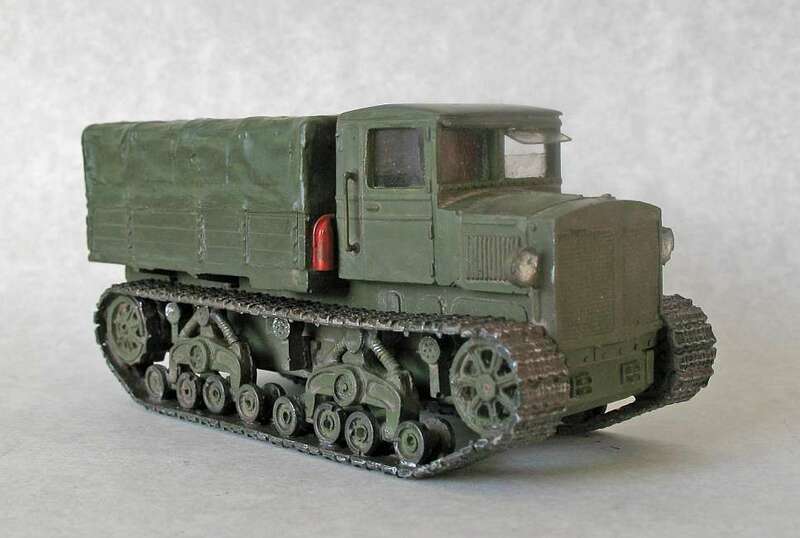 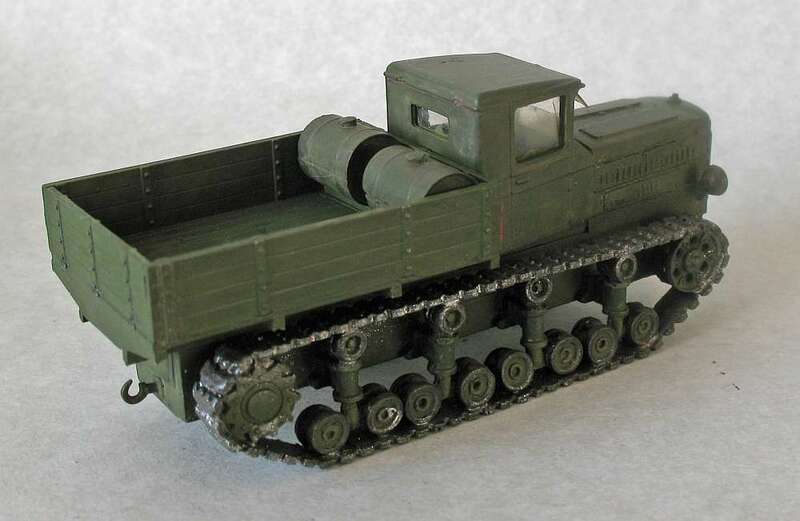 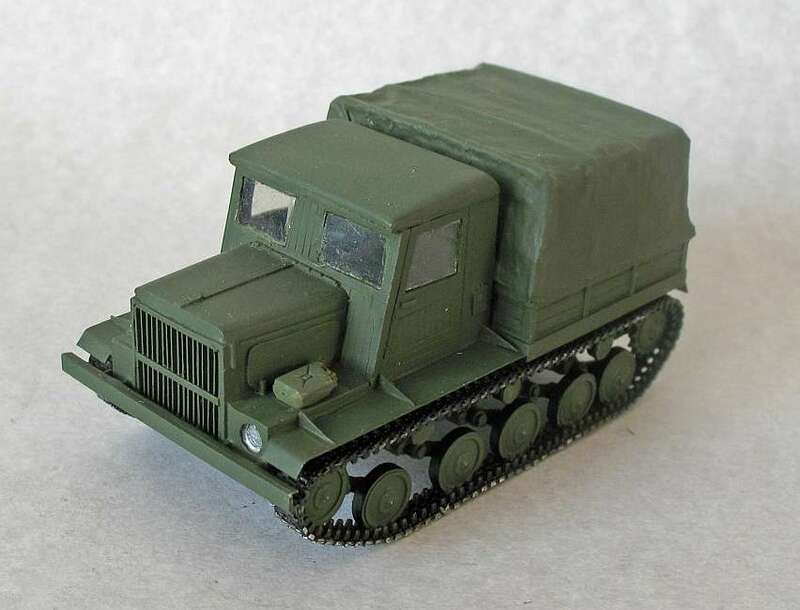 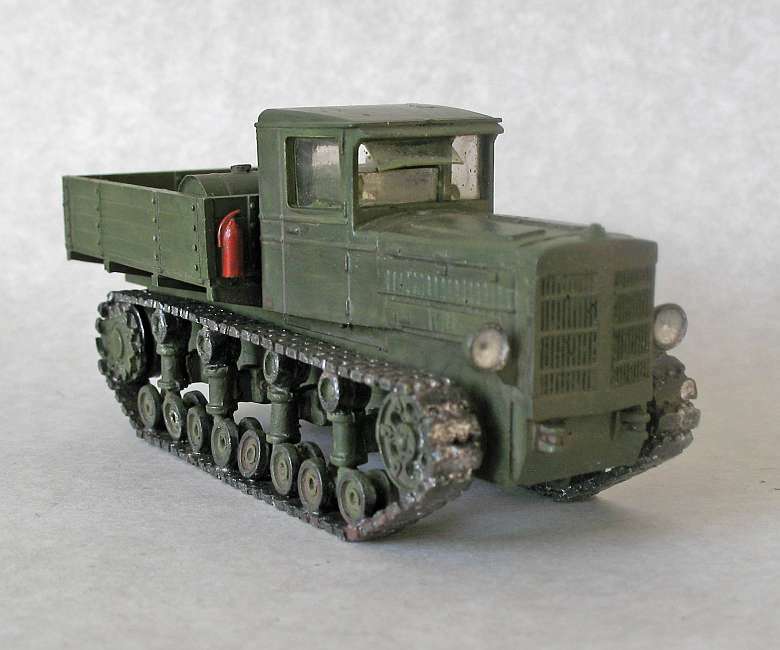 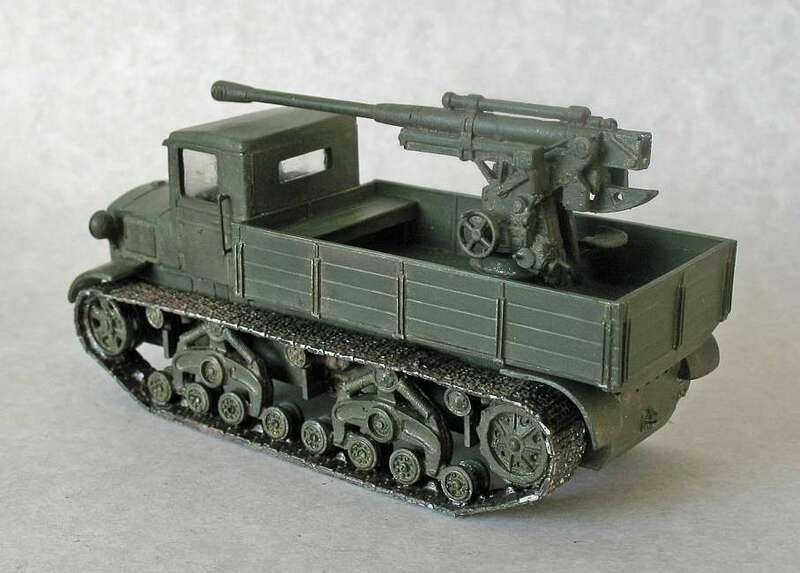 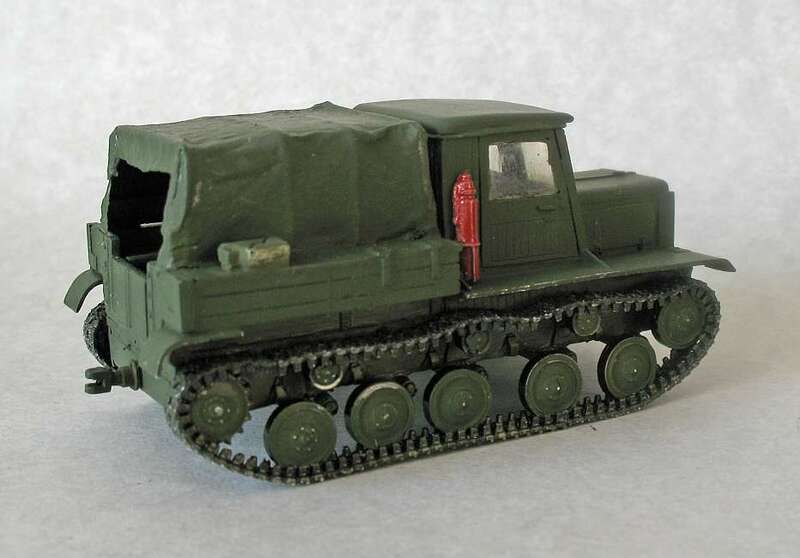 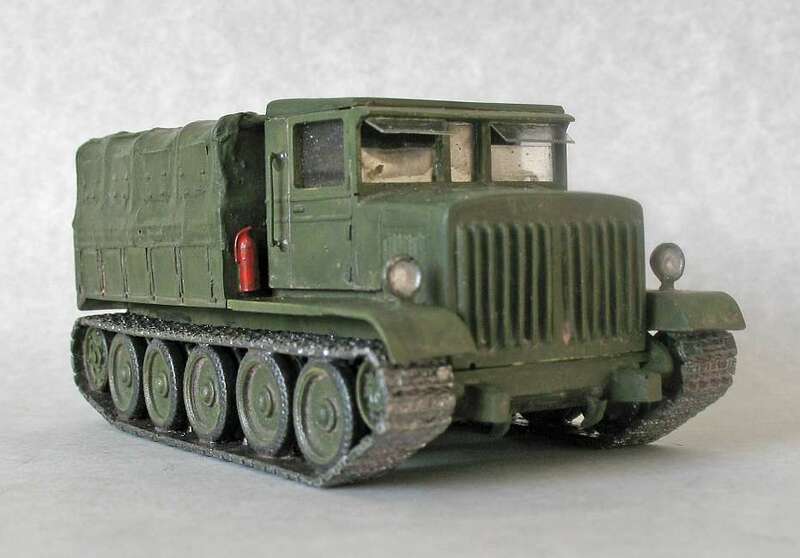 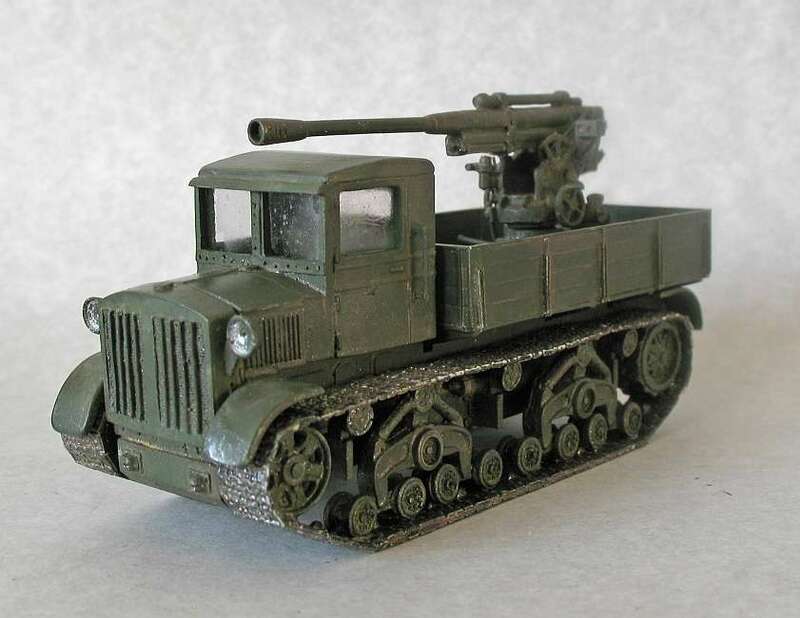 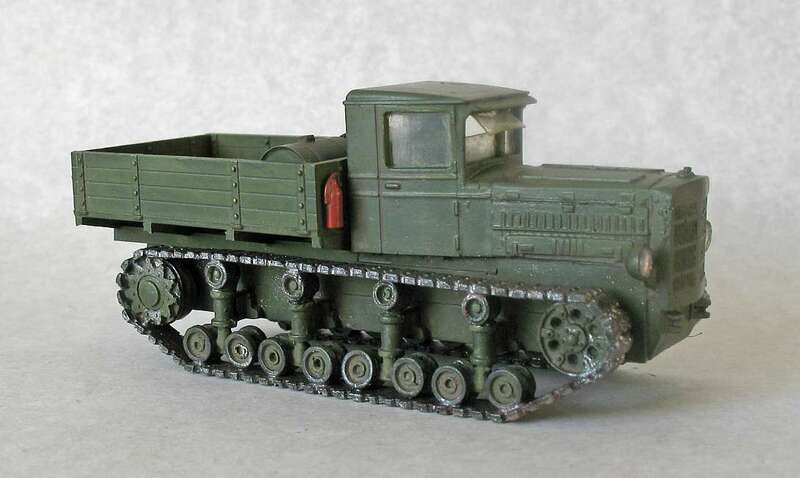 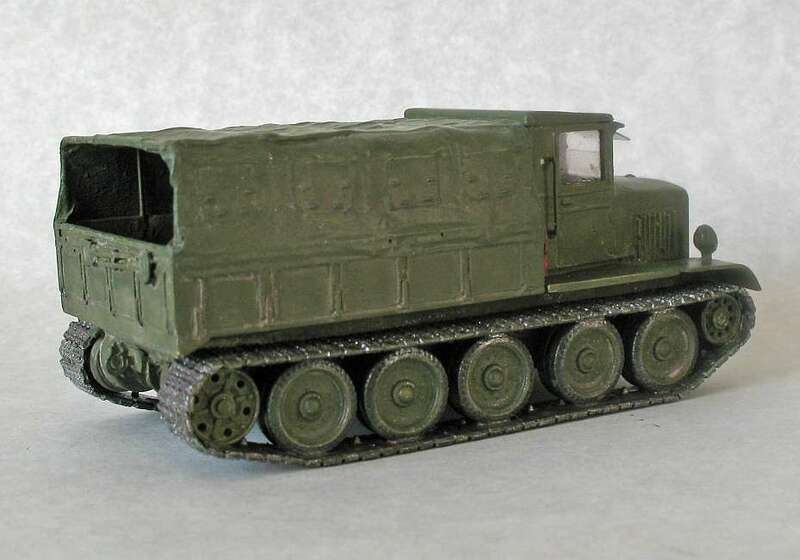 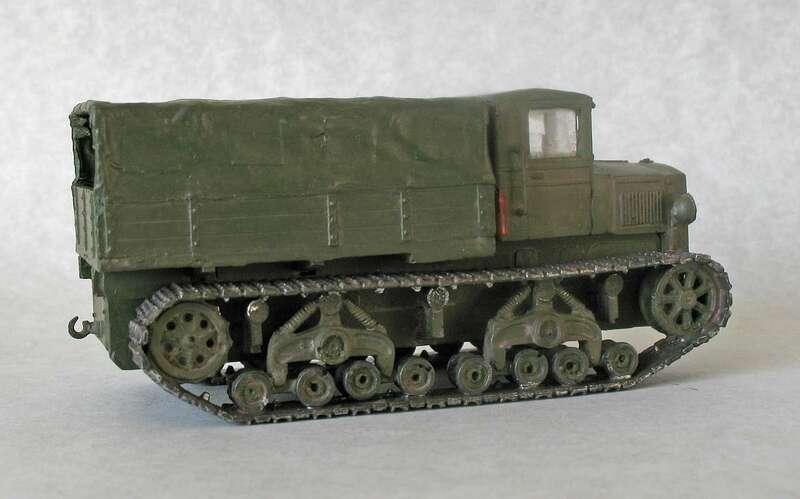 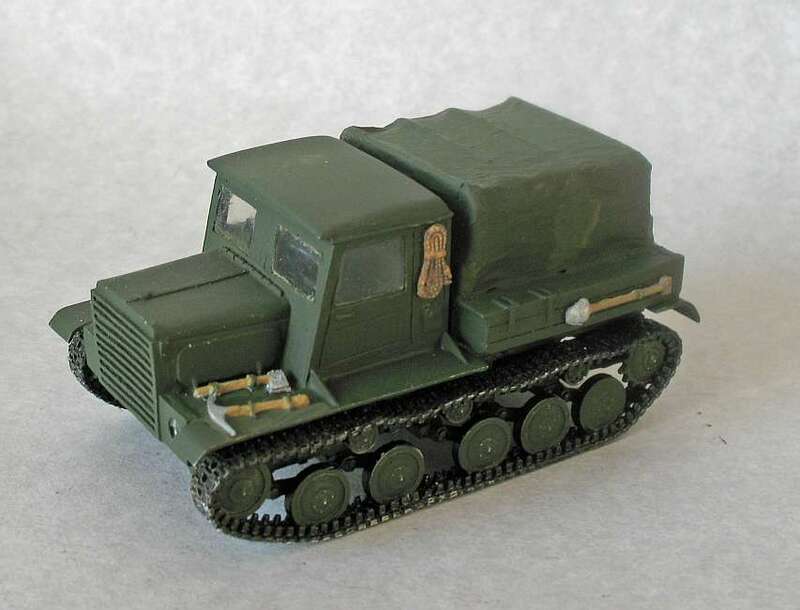 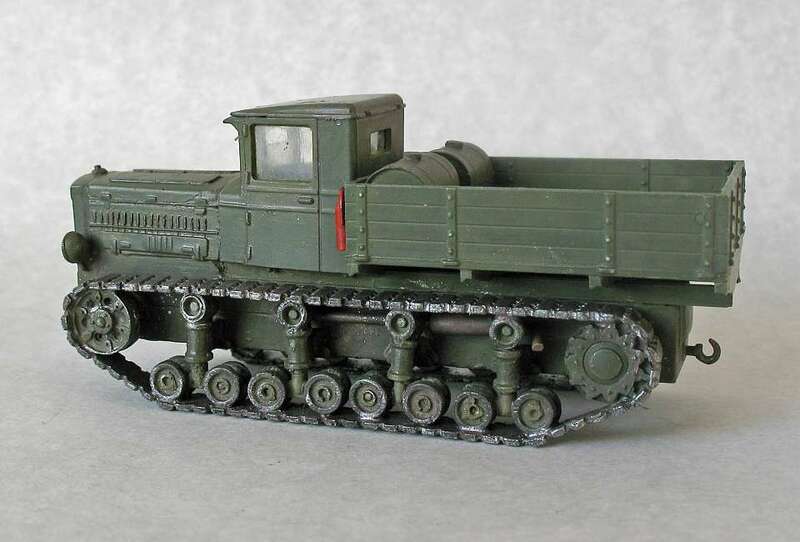 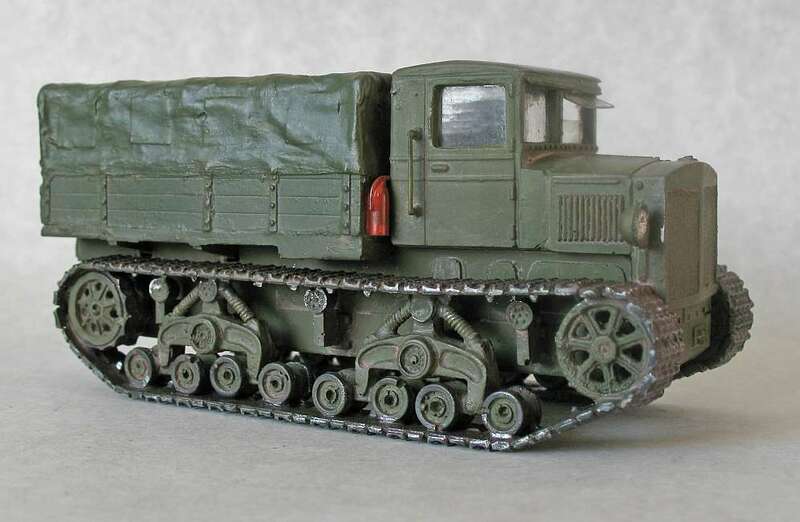 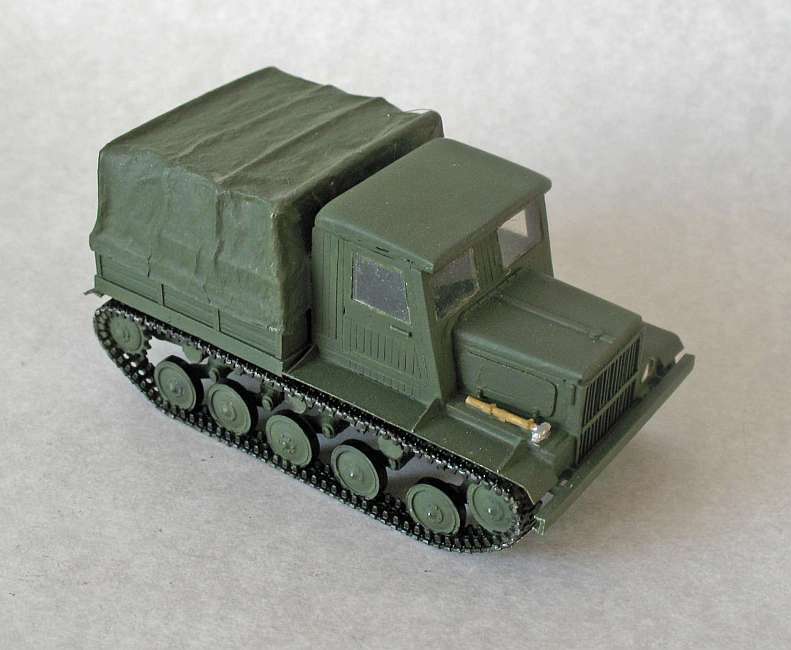 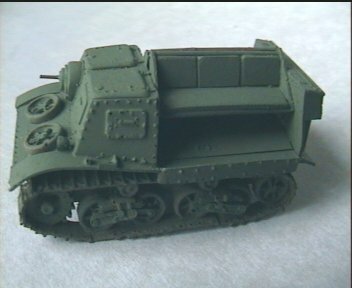 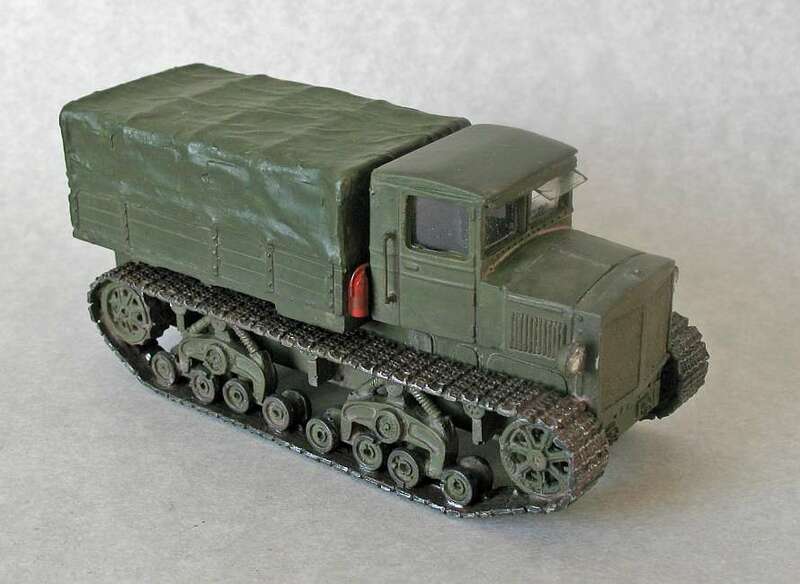 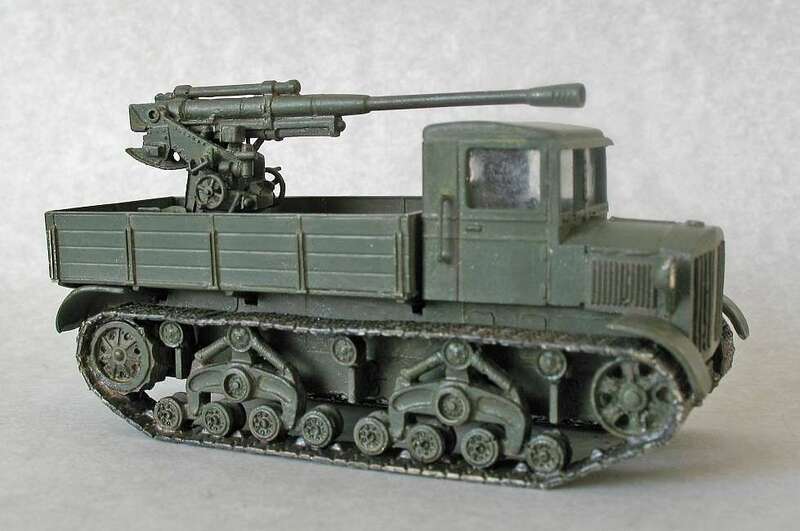 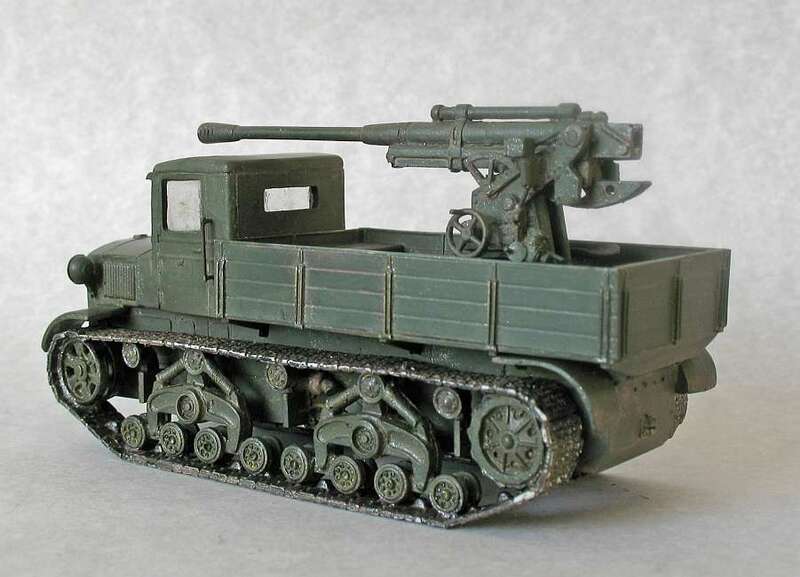 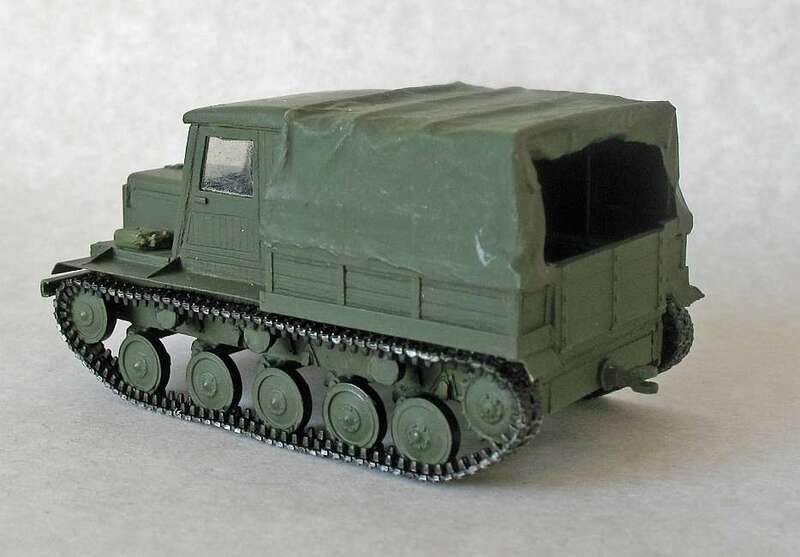 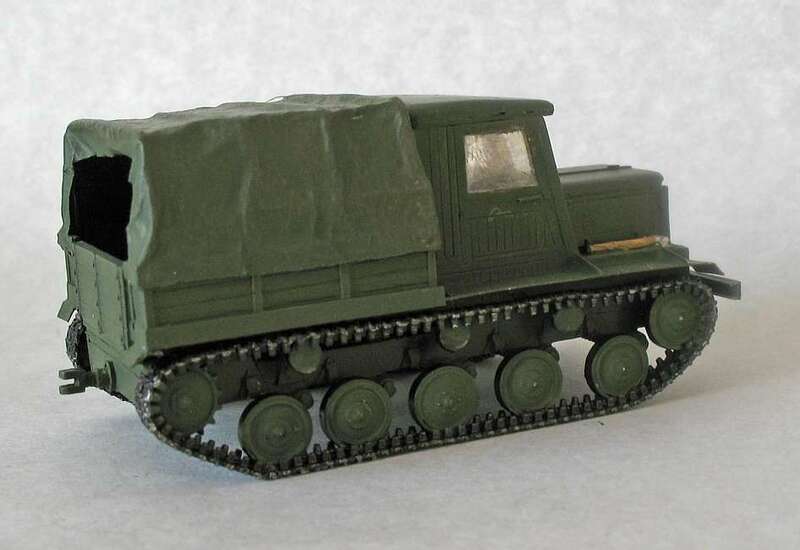 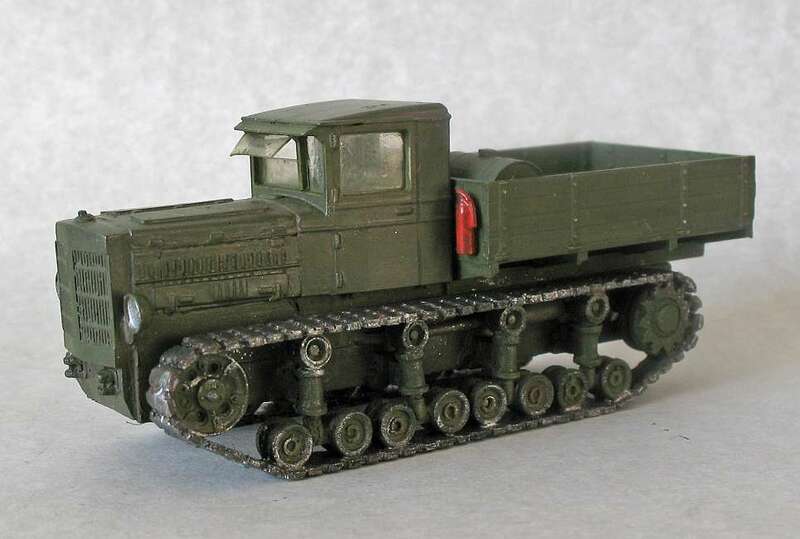 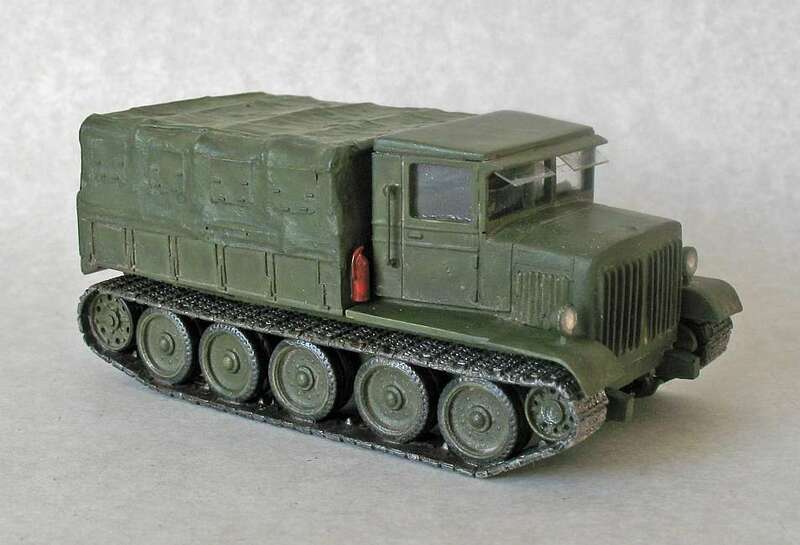 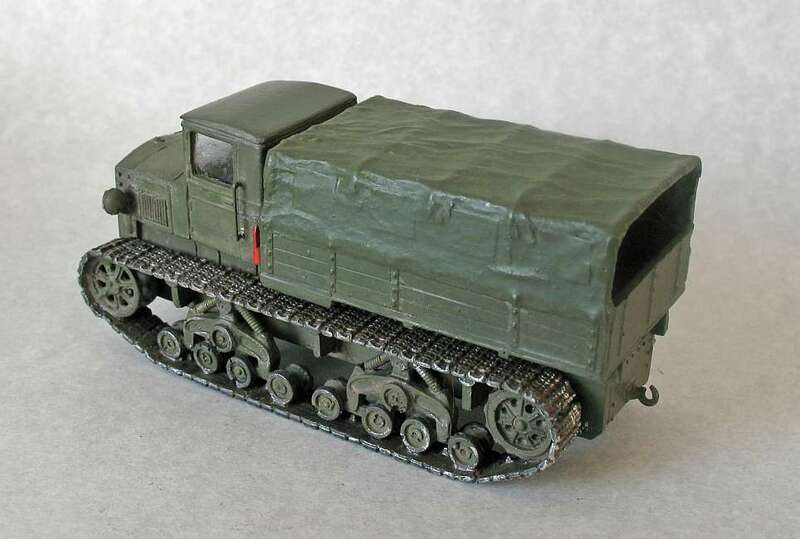 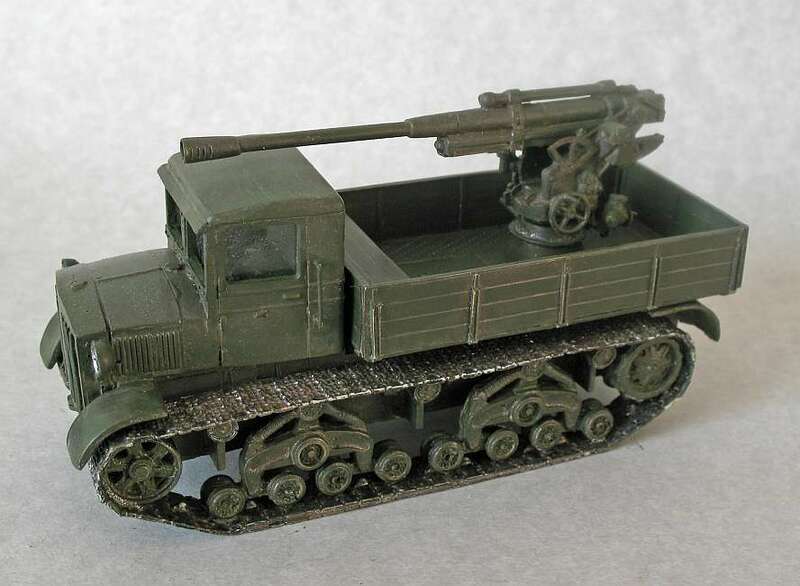 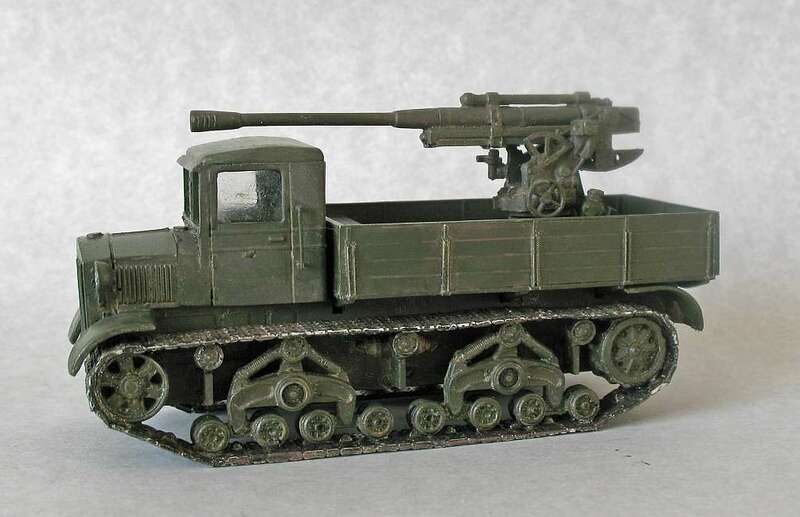 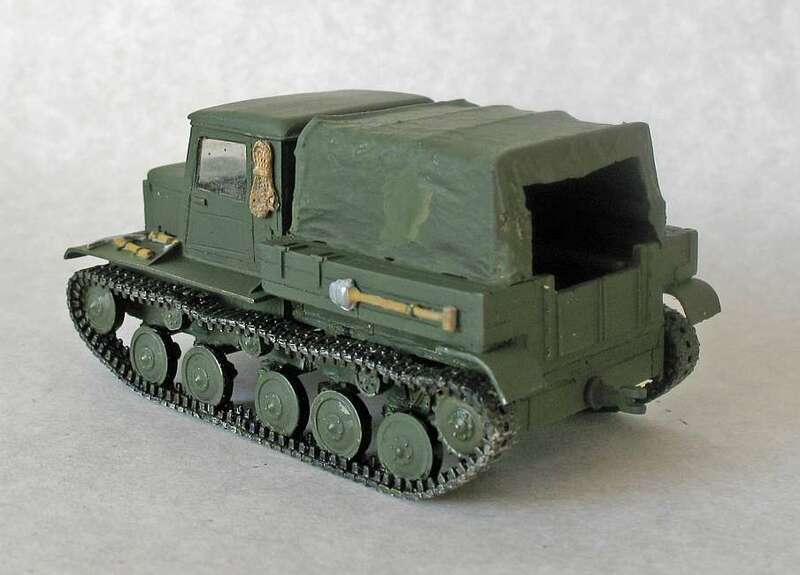 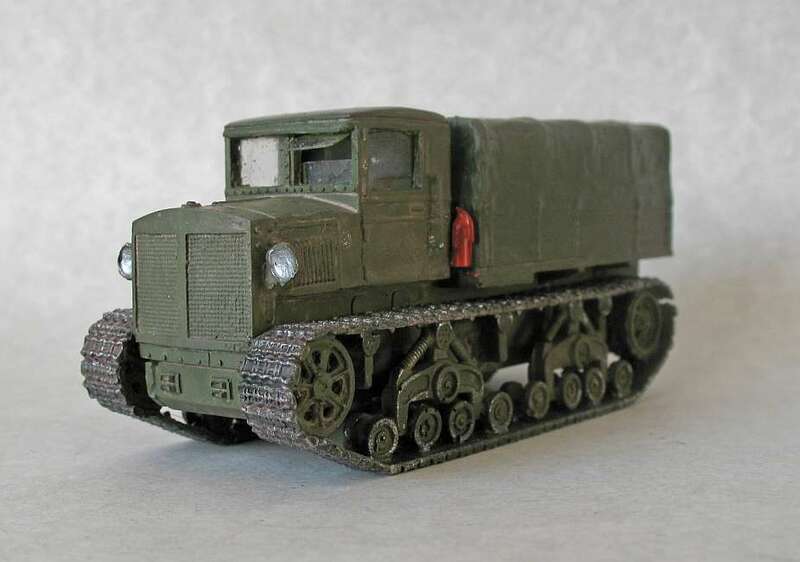 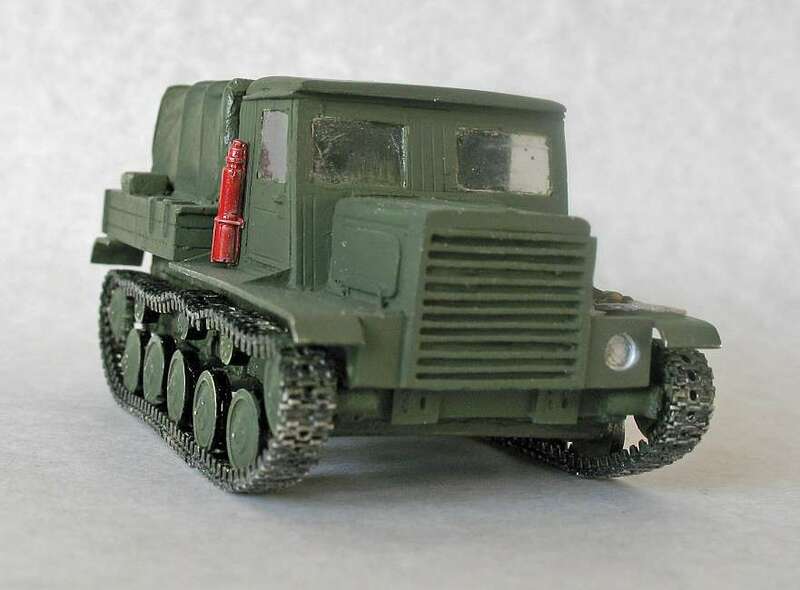 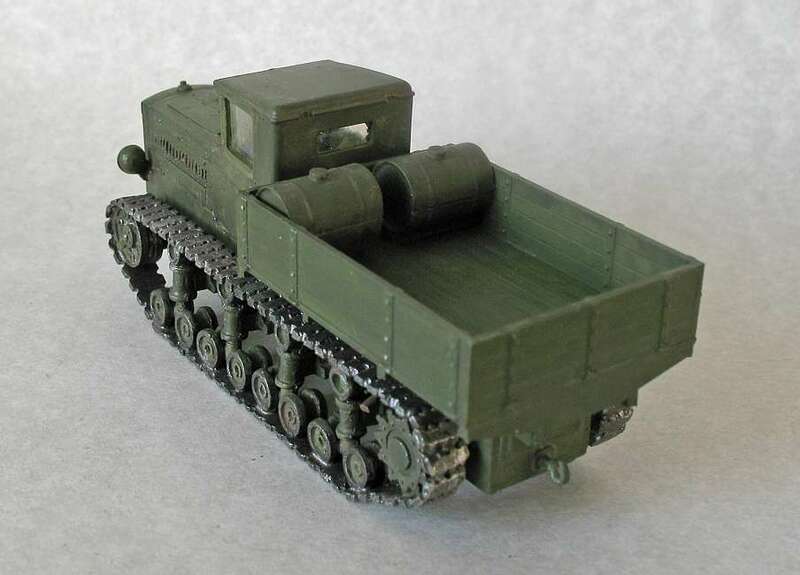 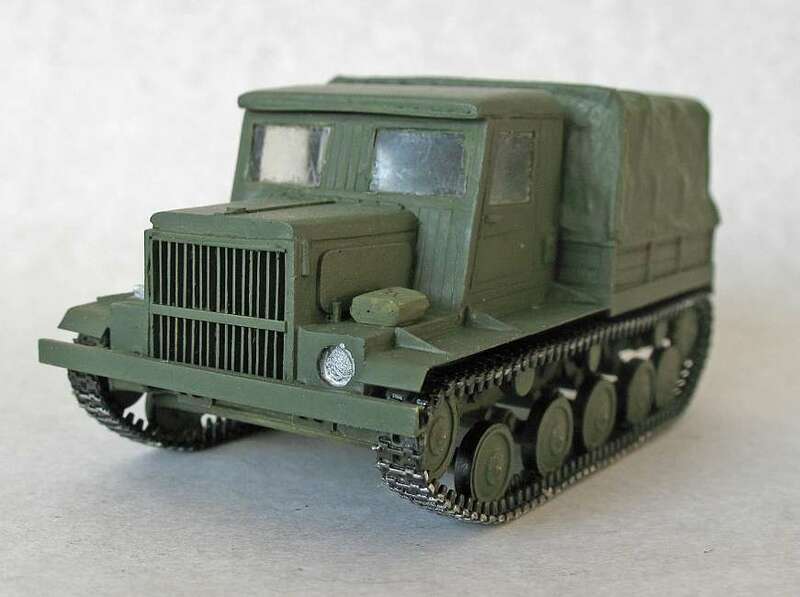 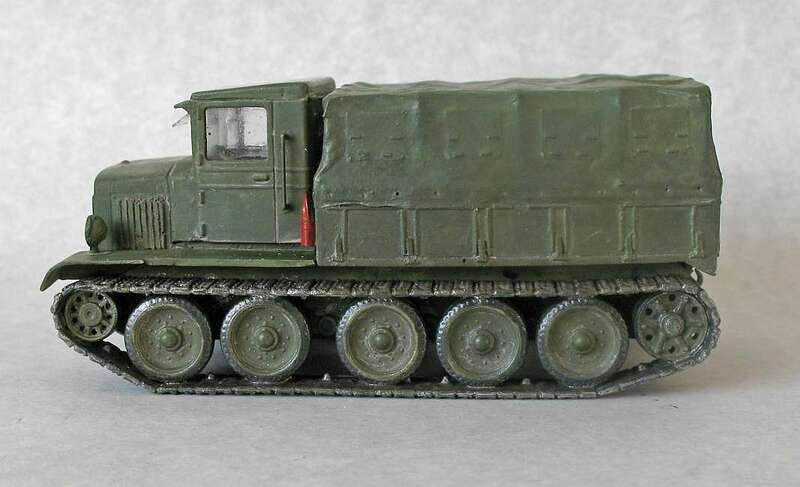 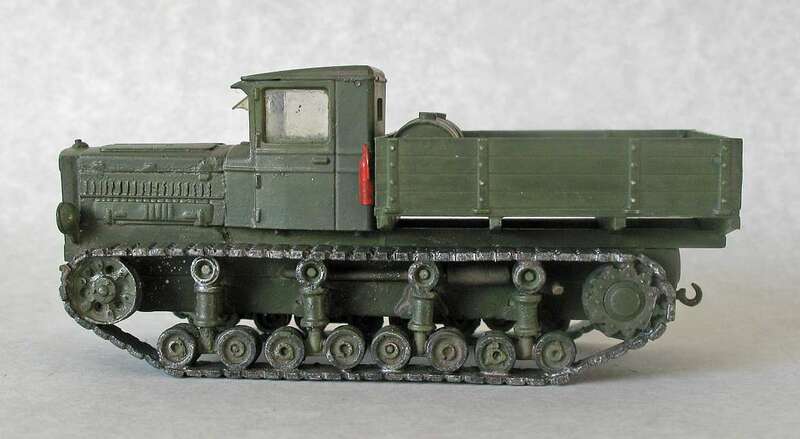 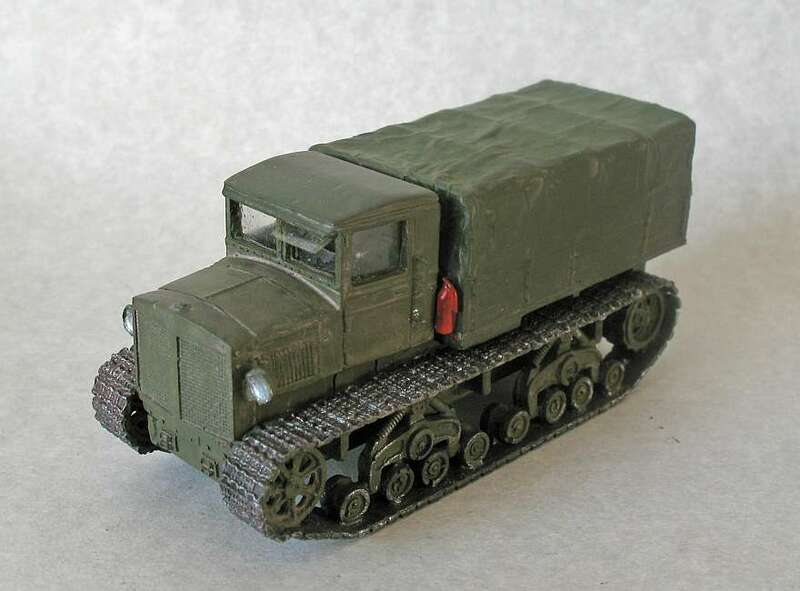 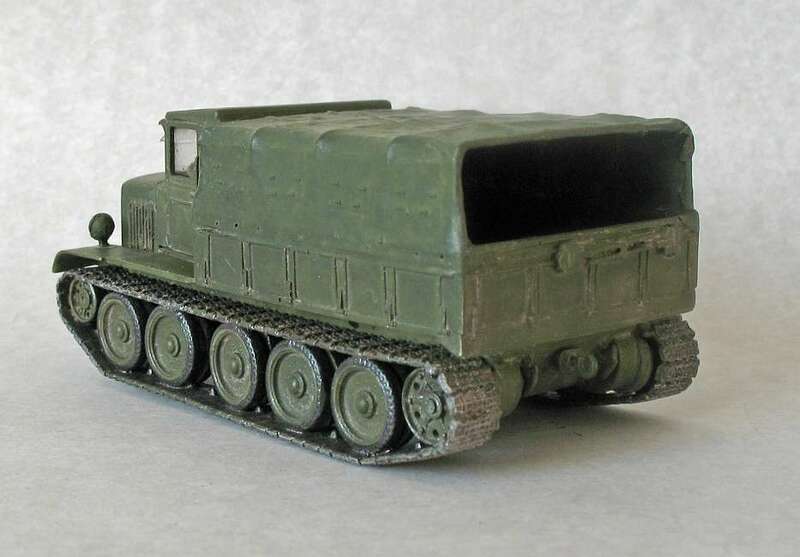 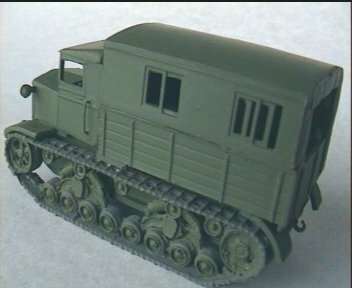 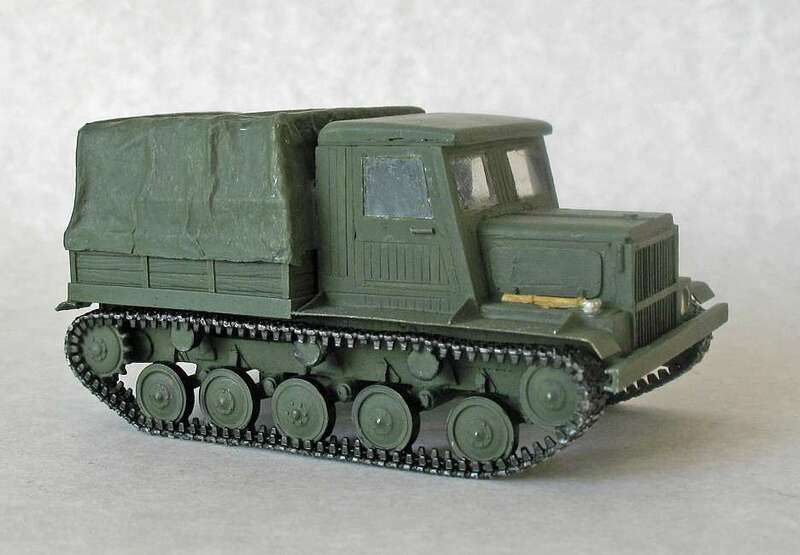 The Komsomolyets artillery transporter was a small, fully armoured tractor which was used to tow the 45mm Anti-Tank gun, and could carry six troops and two-man crew. 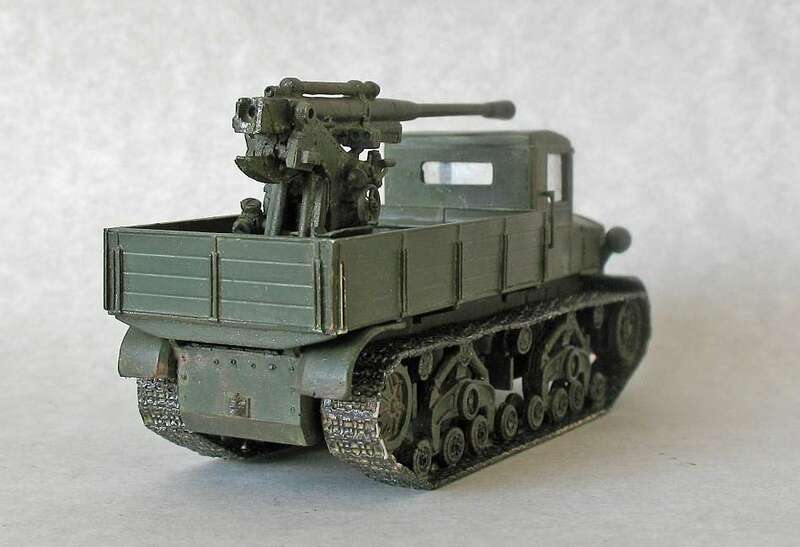 A DT machine gun was provided for the commander. 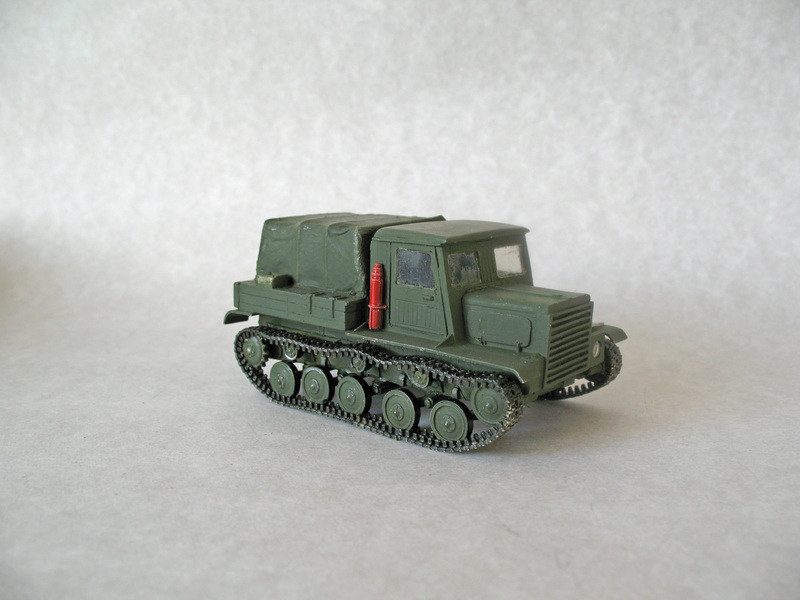 The troops in the rear were unprotected except for a canvas tilt. 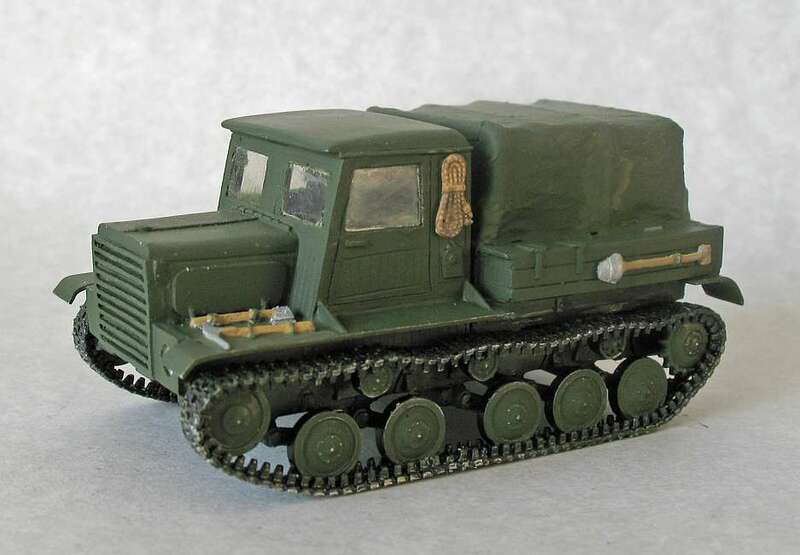 The STZ-3 was the first indigenously designed Soviet tractor and was axrensively used by the Army for artillery towing. 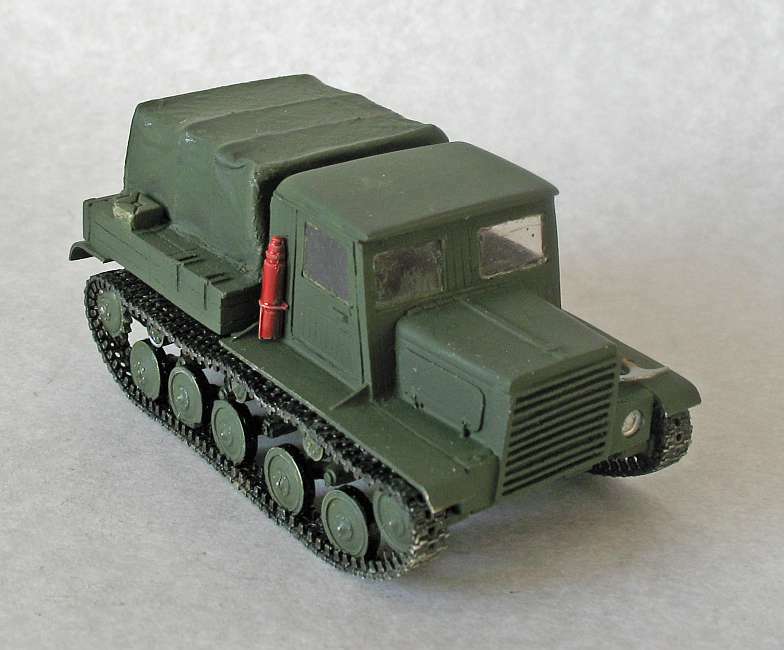 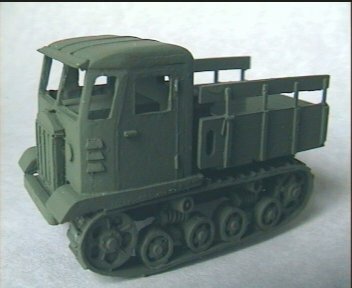 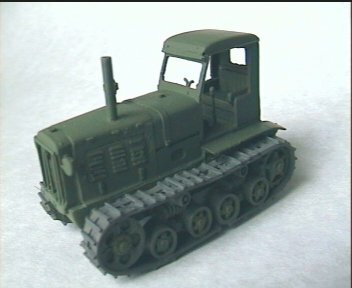 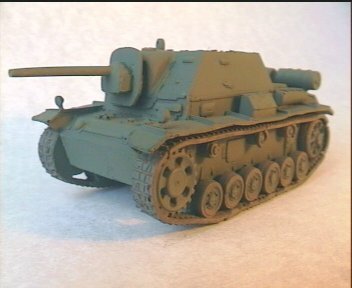 The Odessa Tanks are based on the STZ-3 and STZ-5 chassis. 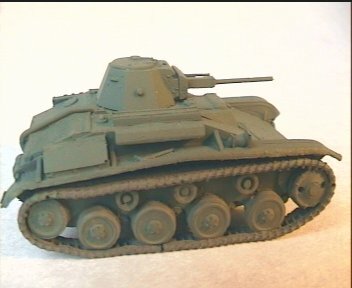 There were many different variants. 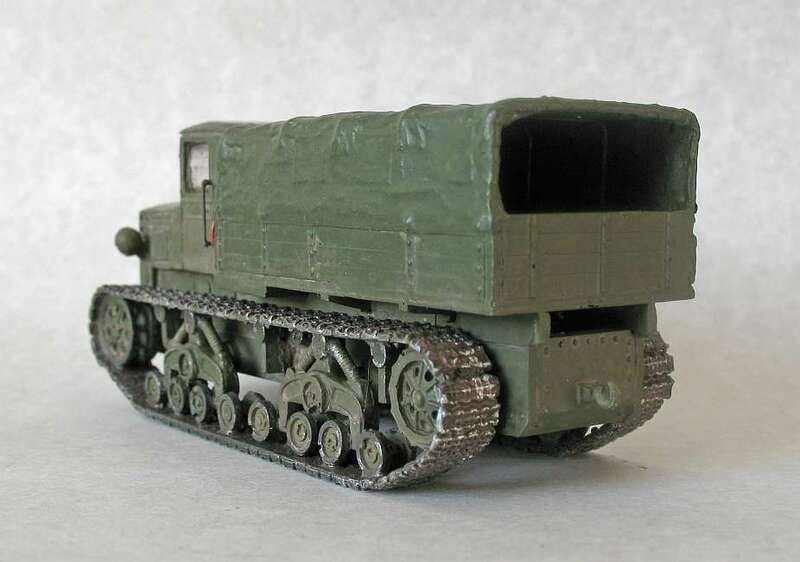 Some were fitted with boiler plate sandwiched with wood or rubber sheeting to provide more protection from small arms. 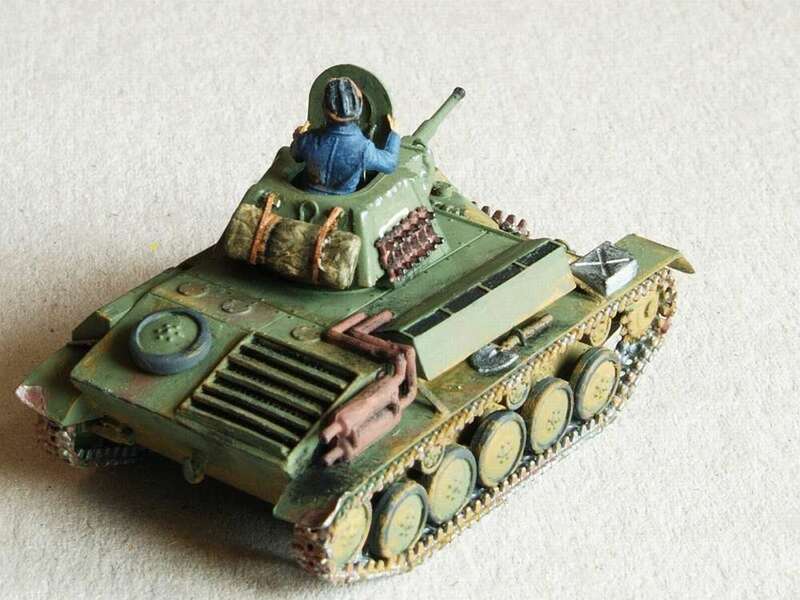 The armament on these tanks varied.They were eventually called NI-Tanks (Na Ispug: Terror Tanks) Fighting against Roumanian infantry, They were surprisingly effective, even if their armour proved to be rather suspect. 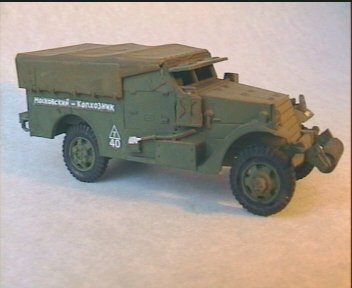 Other improvised tanks were built on KhTZ-3 tractors. 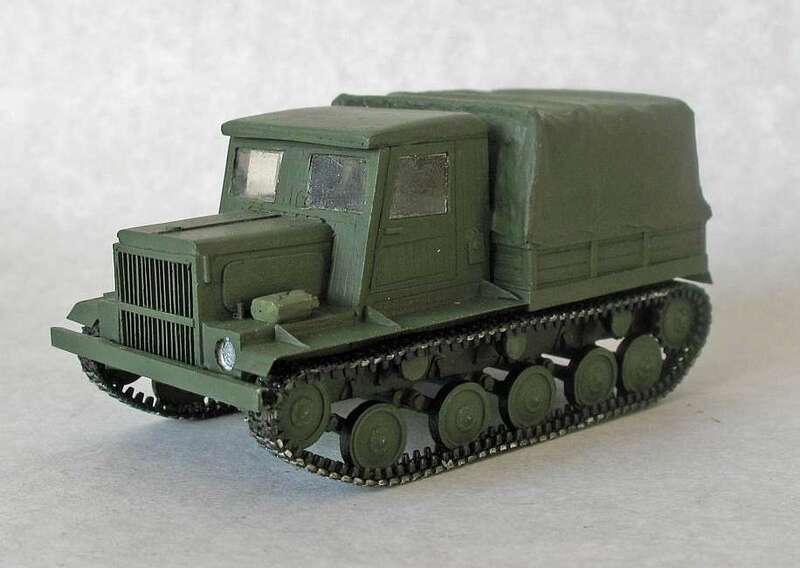 The STZ-5 was a militarized vrsion of the STZ-3 with the cab moved over the engine so that the rear bed could be fitted for carrying supplies or artllery crews. 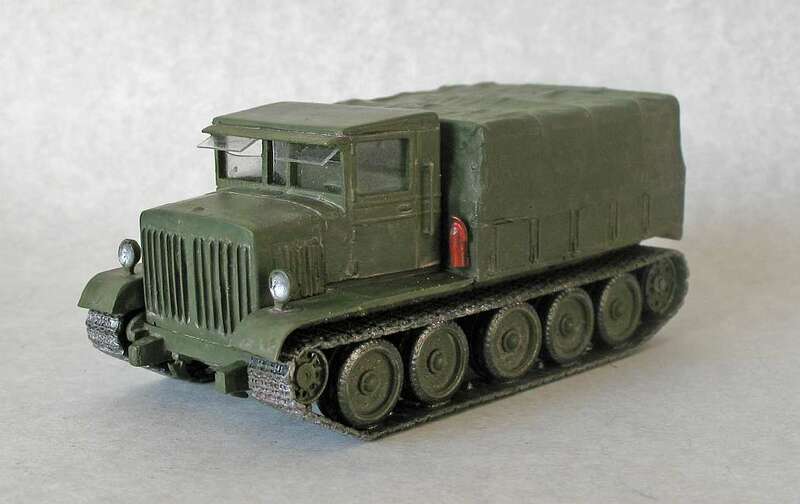 The most numerous version of the US halftrack supplied to the USSR was the T-48, know in the Red Army as the SU-57. 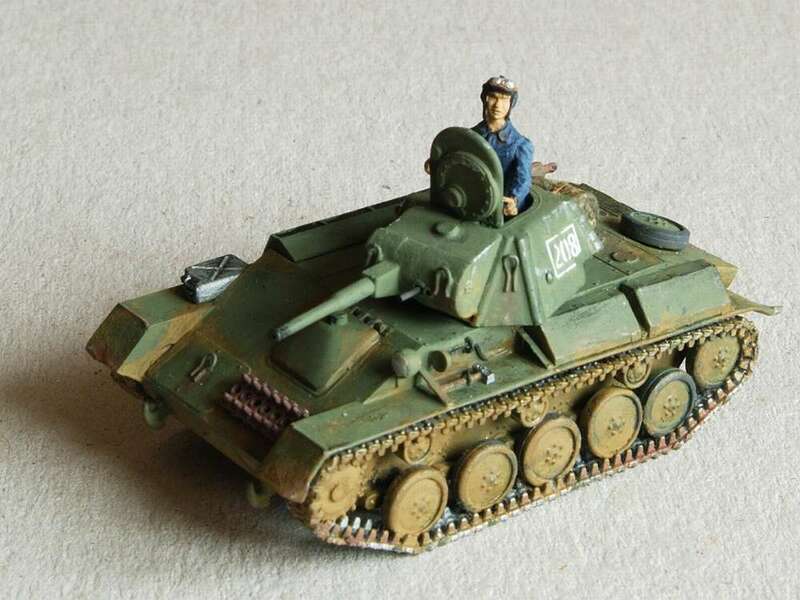 It was used by tank destroyer brigades. 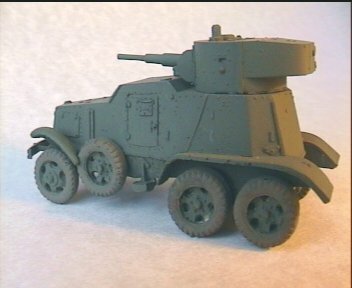 The M3A1 scoutcar was used by the Red Army for scouting and liaison duties. 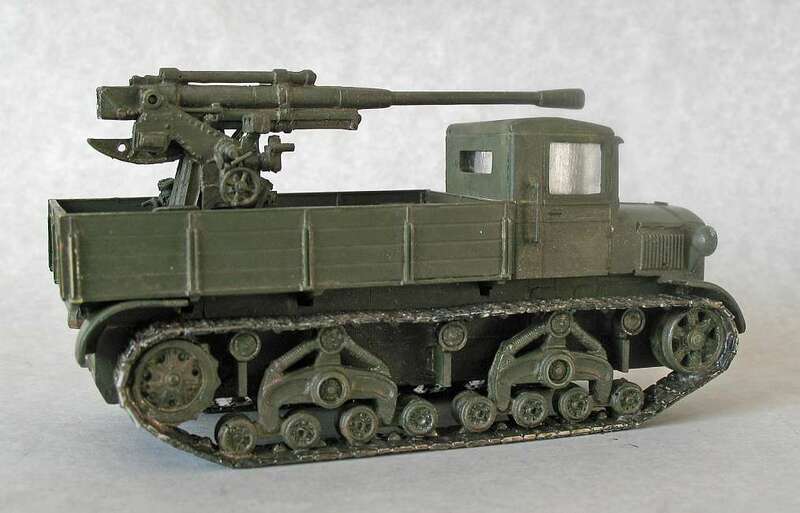 Another "acquired" design, based upon the Vickers Carden Loyd amphibious tank purchased from Britian in 1928-29. 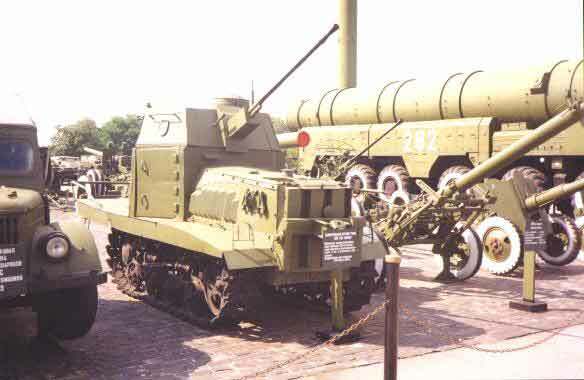 It was copied and came in service as the T37 and T37A. 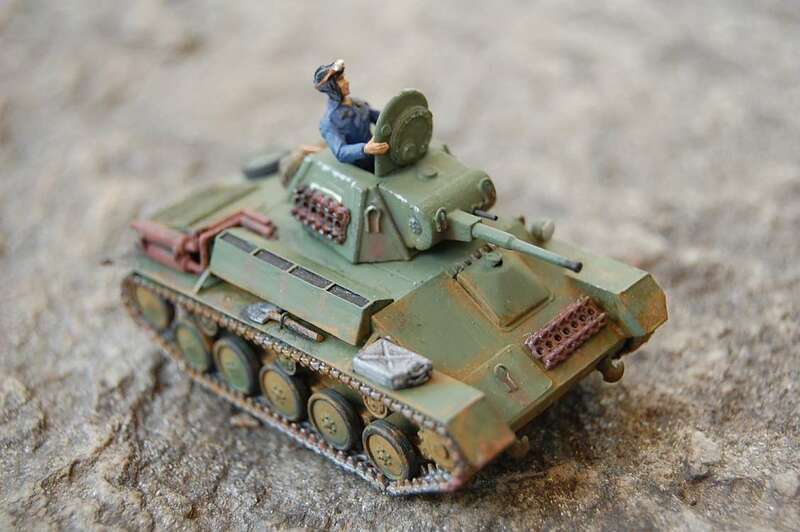 Both were armed with one machine gun in a revolving turret on the right. 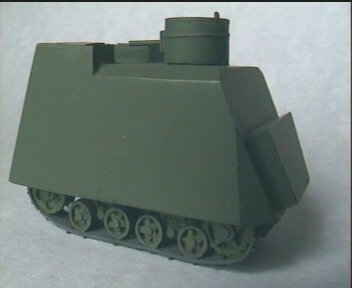 The T-40 looked very like the T-30 and mounted either a 12.7mm D ShK or 20mm ShVaK gun, plus a co-axial machine gun. 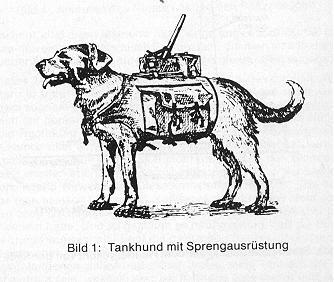 It had buoyancy tanks built in to the hull and was driven in the water by a single, four-bladed propeller. 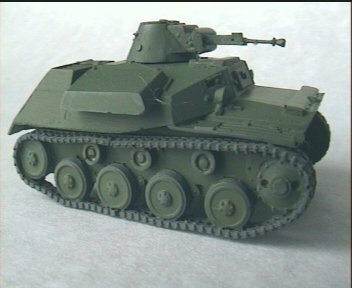 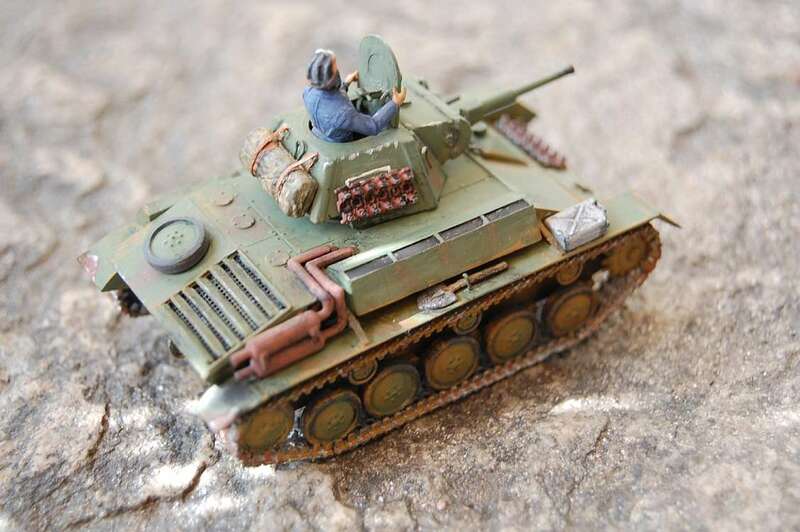 When it was found that both the T-40 and T-50 were unsatisfactory, it was decided to develop a new light tank, based on the T-40 chassis but not make it amphibious. 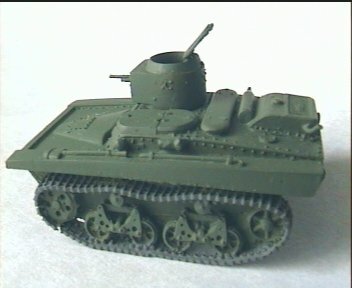 It had improved protection and entered full-scale production in 1941. 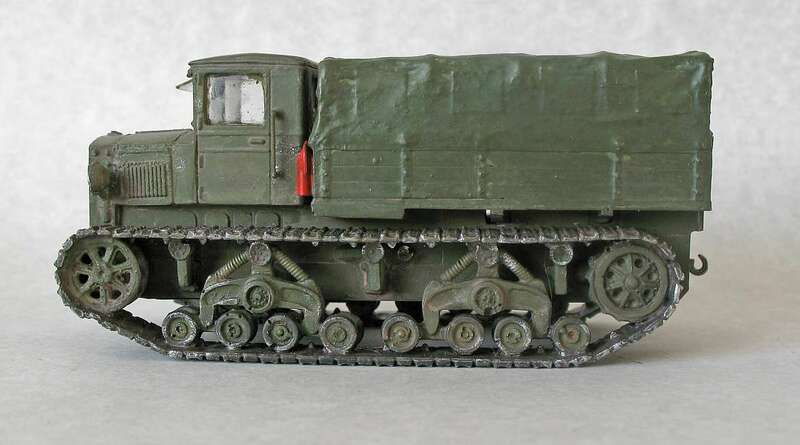 Designed with the need to operate in snow specifically in mind, some 6000 were produced before it was replaced by the T-70.